Get a Refund By Referring Friends! 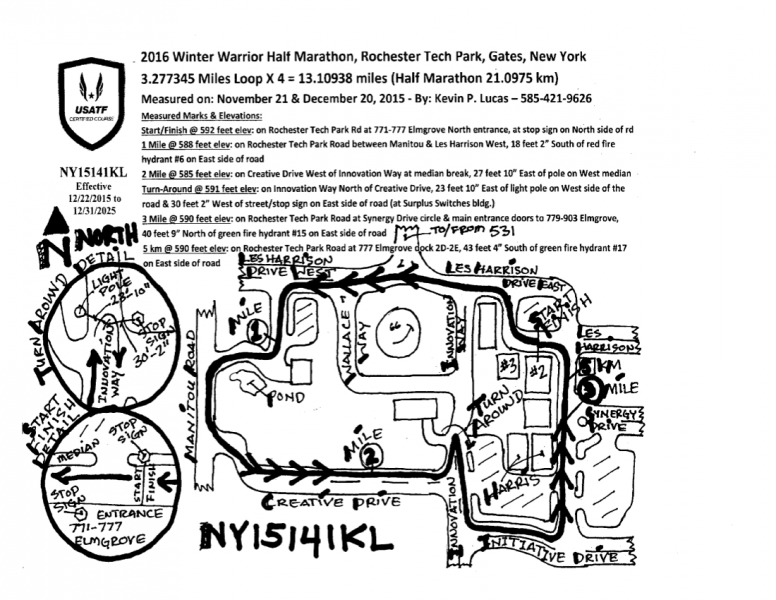 Register for the Winter Warrior Half Marathon, Quarter Marathon & Relay today! All Half Marathon and Half Marathon Relay participants that register prior to midnight on December 1, 2018, will receive a custom bib with their name printed on it. The first 1000 registrants will receive a super cool winter hat! All finishers will receive a custom finisher's medal. Wondering what to wear? Check out our Winter Gear Checklist! The Half Marathon course will be made up of 4 loops at approx. 3.3miles each. The course will be open to (limited) traffic. The Winter Warrior Half Marathon is certified to be accurate by USATF. The Quarter Marathon will be 2 loops. Teams for the Half Marathon Relay should consist of 4 people. The course closes at 4pm. All Half Marathon and Half Marathon Relay participants must start their final lap before 3:00pm. Any participant not starting their final lap by 3:00 will not be allowed to run the remaining lap. NO PROCESSING FEES when registering online! All entries are non-transferable and non-deferrable, no exceptions. Additional race information can be found at http://www.yellowjacketracing.com.